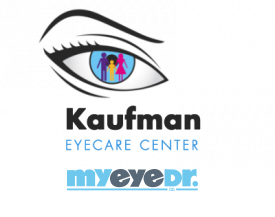 There are many kinds of eye accidents that can occur, some more serious than others. Some might require emergency treatment and immediate care by an optometrist, while others can be treated at home. Follow this guide to common eye injuries, to decide your next move following an accident. Don't forget that general safety protections including wearing safety goggles may be your best approach to preventing eye problems altogether. One injury that should be regarded seriously is a scratched eye. It can lead to serious damage very quickly and potentially end in vision loss. Abrasions are generally the result of a poke in the eye, or rubbing the eye when there is a particle of dust or sand in it. Since a scratch can make your eye susceptible to bacterial infection it's critical to visit your optometrist or an urgent care center. The best advice for a scratched eye is to keep it loosely covered and to see your optometrist right away to inspect it. Touching the eye will only cause more harm and fully covering the eye provides the perfect environment for bacteria. Another possible eye issue is chemical exposure. It can be traumatic when your are splashed in the eye by a potentially dangerous substance. The first thing to determine is what chemical entered your eye. A chemical's fundamental makeup is the most important factor. Although acids can cause substantial swelling and pain, they can be washed out pretty quickly. However, base or alkali substances can be much more severe but may not appear to be since they don't cause as much initial stinging or swelling as acids. Though it is sometimes unpleasant to anticipate a serious eye injury, it's suggested to have a plan for how to respond in serious situations. By following this guide you can rest assured that you'll be ready to handle most common eye injuries. Of course, extra safety precautions can help you avoid this type of injuries from the get go so speak to your optometrist about preventative eye care options!